(Bloomberg) -- Airbus SE secured a $35 billion jet deal from China during a state visit by President Xi Jinping to the French capital, dealing a fresh blow to Boeing Co. as it grapples with the grounding of its best-selling jet. The Airbus coup comes while Boeing's own 737 Max narrow-body -- the chief global rival to the A320 -- has been idled following two fatal crashes in five months. The U.S. planemaker is also struggling with the fallout from a China-U.S. trade war that's seen sales to the Asian nation dry up, just as Airbus bolsters its position with an offer to expand production facilities in Tianjin. 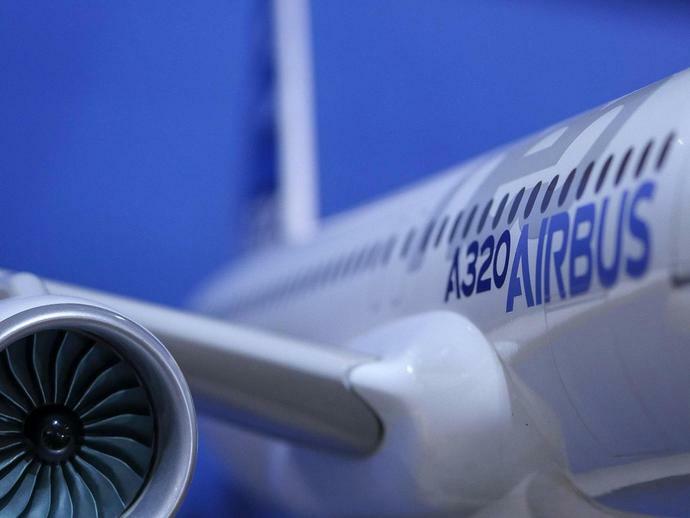 Airbus shares pared declines of as much as 1.7 percent earlier in the day to close 0.5 percent lower in Paris.